I always tell you that being Latina in the U.S. is the best of both worlds. We have the ability to make double the money. I have made more than 700 television shows in English and Spanish (double the shows), for the Latino market and for the mainstream. You should each think about how you can make double the money because, as bicultural women, you are experts in two worlds. You are also a double asset to the companies you work for. As entrepreneurs, we should buy from other Latinas - we should sell our products within our community, family and friends, and then to the rest of the world. We should never marginalize ourselves only in the Latino community‎. I am so happy to hear that NBCUniversal has announced‎ three shows for the fall in English, starring three Latinas. Jennifer Lopez is starring in a police drama, Shades of Blue, America Ferrera, from Ugly Betty, is starring in Superstore, and Eva Longoria is starring in Hot & Bothered. 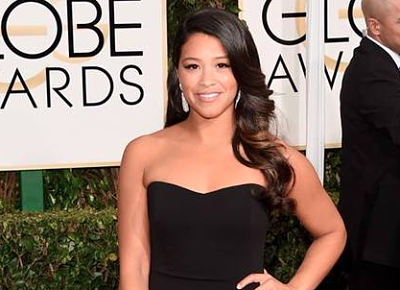 Let's not forget Gina Rodriguez as Jane The Virgin, my favorite show this year, is also coming back this fall. That makes four Latinas starring in network television shows. As someone who has developed so many television shows for the mainstream, and for years had so many shows rejected with Latinas in them, I am happy to see our time has come. We and our daughters can finally see images of ourselves in the mainstream, not ghettoized in our own media like we only exist in a bubble. Latinas are the most important voice in America as the #1 emerging market in the world and I am so happy our stories are finally being told as part of the narrative of the entire country. It is our time! Adelante!!! Next, I am connecting all of you and your brands with reality shows that are looking for Latinas to play themselves as chefs, real estate agents, moms etc. Our updated website and our new platform Crossover Casting is coming soon!